There is a certain glamour or prestige associated with being on the praise team; at least in many people’s mind. 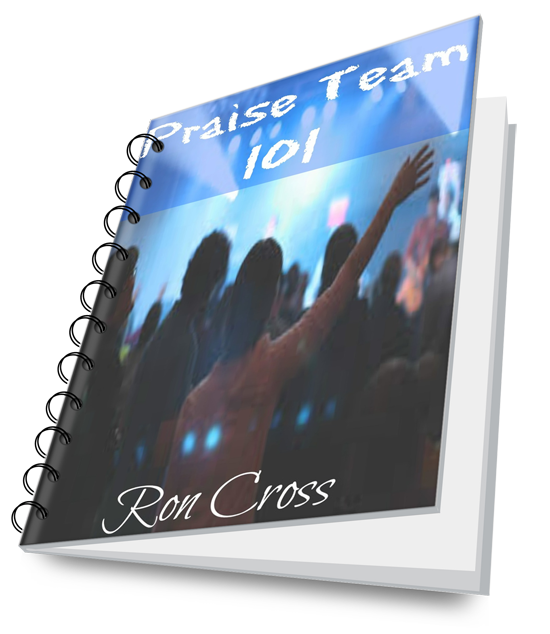 Praise teams have become the it thing in churches, it seems. But with their popularity comes many challenges. While doing some research on the subject I came across a powerful article that dealt with some of the “spiritual traps” many praise team members can fall into. The title of the article was 5 Spiritual Dangers To Praise Teams. 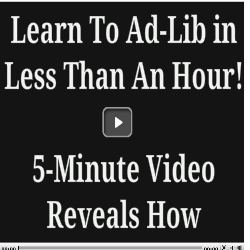 I’ll list the 5 topics covered in the article and give you a little snippet. Then I’ll post the link and the author’s info at the bottom so you can read the article in full. I personally read this one with great interest. If you know me you know that I do believe in the importance of perfecting and honing your craft. But I believe that’s important not so that you can be the center of attention. In fact I believe the opposite. I think the most important reason to perfect your harmony and musicianship is precisely so NOBODY will be paying attention to you. The objective is to remove all hindrances, not to focus on the importance of the performance itself. However when you spend that kind of time and effort on perfecting and honing your delivery there is indeed a danger of beginning to place too much importance on the performance itself. The author does a great job of addressing this in danger number 3. Ok is this great stuff or what?! I gave you the highlights here, but they’re only excerpts from the full article. The Article was written by Thamuss. Originally I included a link to it but unfortunately it has been removed. I’ve been unable to find the author to properly credit and link back to him. If you happen to know him or how to connect with him I’d love to know so I can update the link to point to his new location. You can find more helpful articles like this one in my e-book Praise Team 101. Tagged Praise And Worship, praise and worship training, Praise Team, praise team tips, worship team tips, worship teams. Bookmark the permalink. Letting you know, this is definitely a will read in entirety. The teaser was great! Wow! Thanks Ron, I’ve been blessed by this aticle. God bless. The article is insightful and relevant. I have learned much out if it and will offer suggestions to our choir master should such problems occur. By the way, any advice if some members of the team sing too loud even if they are off? We find it hard to tell them as that might hurt their pride. Thanks in advance! Thanks for the kind words! I definitely understand. I would offer 3 key points to keep in mind as you try to approach this with your members. 1. Tell them privately. Make sure you give them the respect of telling them in a private way to avoid any embarrassment. 2. Tell them tactfully. Be honest, but talk about this with some compassion. Some people thing the only way to be honest is to be brutally honest. Consider the person’s feelings. 3. Offer some kind of help. Many people bring something like this to a member and then leave them with no way to address it or no help. So when you bring this to the membes try to offer some help in the way of coaching. You don’t have to pay for it per se, but make sure you have researched options for them to get some coaching themselves. Members who simply sing too loud but do sing on key most of the time can probably fix that with my home study vocal training program Vocal Ministry Breakthrough. One student of mine actually had his membership sponsored by his church. If they have problems with pitch and appear to be somewhat “tone deaf” they’ll need the help of a local vocal coach, as this is something that needs to be addressed face to face. Look for vocal coaches who specialize in helping people who sing off pitch. More and more vocal coaches are learning how to address pitch issues, so you may be able to find one locally that can help your members who have trouble with pitch. This article was very helpful! I just started noticing that I don’t want to be the center of attention when it comes to being on a praise team. I have become mindful of the way I dress as well, not to distract the audience. I never had a problem with the way I dress, but just being aware of being modest.